Egg Nog is one of the most beloved holiday flavors, so let yourself indulge in this classic flavor year-round. With only 2 calories in each cup, you can indulge in the creaminess of this Egg Nog creation � guilt free. Let the cinnamon undertones wash over your taste buds as you experience the gourmet, 100% authentic Arabica beans. 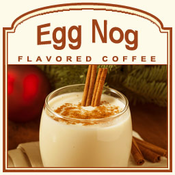 Perfect to be served as a dessert coffee, the Egg Nog flavored coffee will be a hit for all of your holiday parties. Roasted and shipped on the same day, the Egg Nog flavored coffee will be packaged in a heat-sealed valve bag to preserve the cinnamon-cream flavor. 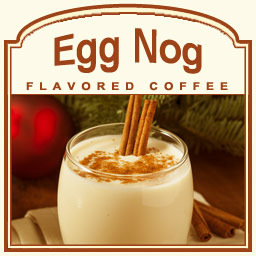 Don't wait to experience this delicious treat throughout the holidays, indulge now in the Egg Nog flavored coffee.